The last month or so has been a bit sad when it comes to cooking and nutrition. Pregnancy nausea (because morning sickness is not a valid title when it is throughout the day) and food aversions have left me locked up in the bedroom with the door open while my husband cooks dinner – for himself. I hesitate to call what I have been eating “cravings;” I see it more as non food aversions. It’s not that I’m craving over-processed food, it’s that these are the only foods that sound even remotely palatable and don’t make me sick to eat or think about. It is usually only a couple items that don’t make me sick and it changes every 1-3 days. If you remember, I was doing the Whole30 Paleo Challenge. That lasted 2 weeks; the week before my period was due, and the week after we found out I was pregnant. At approximately 6 weeks I no longer wanted vegetables, meat,eggs or nuts. Even thinking about these foods made me sick – and that was the majority of what I was eating! My diet these last 4-5 weeks has made the Primal/Weston A Price lifestyle in me cringe! At least I have been able to eat apples, oranges and bananas! Luckily this last week my nausea and food aversions have subsided a bit and probably will be improving even more as time goes on. Although it’s still not stellar, I was able to enjoy homemade green sauce chicken enchiladas last night for dinner and cinnamon toast for breakfast. The other day I read Food Renegade’s old post: Pregnancy Cravings Make No sense and all the notes and it made me feel a little better. Hopefully I will be able to nutritionally redeem myself during the second and third trimester! I’ve started taking Optivite to help with PMS symptoms and a possible luteal phase defect (I rarely have a luteal phase at least 14 days long, and I consistently spot before my period). I’ve started taking Evening Primrose Oil to help with pms and cervical mucus. I need to see my new doctor and possibly get my thyroid check and go forward with infertility testing and treatments. If we can’t conceive without assistance, the least I can do is limit or eliminate my pms symptoms and get healthy! It can be very frustrating to not conceive, but we are still trying to be hopeful. Well low and behold, we finally conceived! 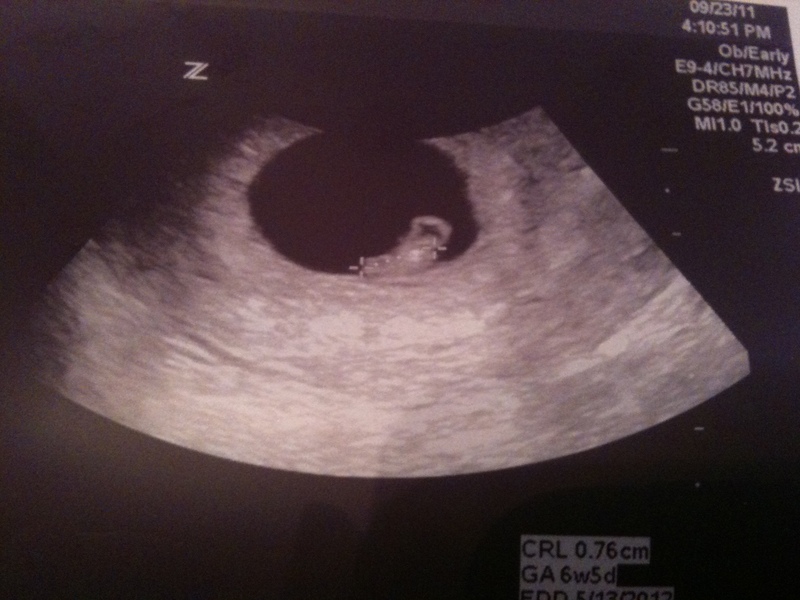 On September 2nd we were pleasantly shocked to have a positive pregnancy test! I had cancelled my doctor’s appointment the day before I found out I was pregnant! Because my fertile mucus didn’t seem that abundant, we used Pre-Seed, a sperm-friendly lubricant (even though we did not have any success with it prior to this cycle). So we are 10 weeks today and hoping for a healthy pregnancy!